Read the New CAA Blog! CAA has started a national conversation about all-things-audiology! Members are invited to join the conversation by reading and submitting contributions. We have some great recurring features lined up. Be sure your membership is up to date to have access to the blog content. These are a few of my favourite sounds! CAA universal membership renewal date is March 1st. By renewing your membership, you are supporting the only association in Canada that provides an exclusive voice for audiologists. This is Canada’s largest annual live event dedicated to the science and practice of audiology. We have an exciting line up of speakers on a broad range of topics to meet the needs of audiologists across the scope of practice and employment disciplines. Learn from world-class scientists and clinicians, engage with industry representatives in our exhibition hall and discuss hot topics with colleagues, mentors and new friends. Dr. Donald Henderson Passed Away February 1, 2017, in the Company of His Wife Terri and Three Children Dana, Aaron, and Lee. Don Henderson was born in Hamilton, Ontario, Canada on October 3, 1938. After graduating from high school, Don attended college at Western Washington State College in Bellingham, WA where he majored in psychology. Unknown to most of his colleagues, Henderson was recruited to Western Washington State on a football scholarship and, more importantly, played professional football for one season with the BC Lions of the Canadian football league. Having found professional football too easy, Henderson decided to pursue an academic career and in 1962 entered the PhD program in sensory psychology at the University of Texas at Austin. After completing his PhD in 1966, Henderson spent two years as a post-doctoral fellow at the prestigious Central Institute for the Deaf in St. Louis, MO where he developed an interest in auditory evoked potentials and noise-induced hearing loss. In 1968, he was appointed assistant professor at the State University of New York Upstate Medical Center in Syracuse, NY. Anticipating the digital revolution, Henderson purchased the first university laboratory computer, a DEC PDP8 with an “unbelievable” 4k of core memory and a teletype and tape reader for output and input. Using this advanced computer hardware and special amplifiers, he was one of the early pioneers to assess auditory evoked potentials from humans and primates and to record single neuron discharge patterns from the auditory brainstem, techniques considered cutting edge at the time. In the early 1970s, Henderson teamed up with Roger Hamernik, a mechanical engineer who had been using a shock tube to study shock waves produced by supersonic aircraft. Henderson, recognizing that blast wave exposure was a major cause of hearing loss and decided to use this novel device to study blast induced hearing loss in animal models. In 1980, Henderson moved his research team to the University of Texas at Dallas where he was promoted to the director of the Callier Center. He also served briefly as the acting dean of the School of Human Development. In 1987, Henderson moved to the University of Buffalo (UB) and assumed the position of professor and chair in the Department of Communicative Disorders and Sciences. A few years after arriving at UB, he co-founded the Center for Hearing and Deafness, a multidisciplinary research group that included scientists and clinicians from a wide range of schools, departments and scientific disciplines. Henderson organized the first in a long series of international conferences on noise-induced hearing loss, ototoxicity and acquired hearing loss. The proceedings of the first noise conference held at Cazenovia College were published in 1976. This was followed by international noise conferences in Syracuse, USA, Beaune, France, Gothenburg, Sweden, Trento, Barga and Bari, Italy, Cambridge, England, and Niagara Falls, Canada. These conferences, which were scientifically stimulating, brought together leading scientists, administrators and clinicians from around the world in pleasant surroundings that fostered the exchange of ideas and new collaborations. A major accomplishment of these meetings was the compilation of 11 scholarly, widely read, state of the art books. For connoisseurs of elegant dining, the gala banquet in the heart of the wine cellars of Beaune, France will long be remembered as one of the best social and scientific events. Over the course of his distinguished career, Henderson authored more than 130 scientific papers published in prestigious journals, 43 book chapters and 11 edited monographs. Henderson has given more than 300 scientific presentations at national meetings, international conferences or university colloquia. Henderson served as a consultant, reviewer, and advisor to many federal and state agencies such as NIOSH, NIH/NIDCD and CHABA. Henderson was an associate editor for Noise and Health and the Archives of Complex Environmental Studies and was also a frequent reviewer for leading journals in audiology, hearing science and neuroscience. 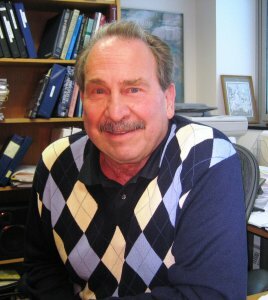 In recognition of his many accomplishments, Henderson received the National Research Award in 2006 from Hofstra University for distinguished contributions to the field of research in hearing science and the Outstanding Hearing Conservationist Award from the National Hearing Conservation Association. Henderson was also granted two patents related to the development of drugs to prevent noise and drug induced hearing loss. Henderson has a special gift for teaching and making anatomy, physiology, acoustics, clinical pathology and audiology sound easy, interesting and relevant. Over the years, he attracted many bright, highly motivated students who worked on research projects in his lab. Although he is best known for his work on noise induced hearing loss, his research interests spanned a broad range of topics including ototoxicity, evoked potentials, acoustic reflexes, cochlea anatomy, ototoxicity and age-related hearing loss. Ask him about the latest novels or economic, political, sports and social events and Don would immediately offer an “earful” of thoughtful, provocative and engaging commentary about the world around us. His quick wit, smile and active mind would immediately capture your interest and imagination. Don will be remembered as someone full of life and vigor. His glass of wine was always half full, reflecting his enduring optimism for life. OTTAWA – The CRTC is calling for comments as it prepares to undertake a review of the regulatory framework for text-based message relay services. Message relay services (MRS) are text-to-voice services that enable people with a hearing or speech disability to make and receive telephone calls. The Commission currently requires wireline telephone service providers to offer two types of MRS: teletypewriter (TTY) and Internet Protocol (IP) relay services. Wireless service providers are generally not required to provide MRS, at present. Specifically, the Commission has asked for input on how MRS could evolve to respond to users’ needs in today’s market, whether the services remain relevant in light of current trends and innovations, which service providers should be required to provide such services, and how such services should be funded. Interventions and comments should be submitted to the CRTC by April 3, 2017. President & CEO Niels Jacobsen has decided to step down after 25 years as member of the Executive Board in William Demant Holding to become CEO of William Demant Invest A/S. The present Chief Operating Officer (COO) will become new President & CEO of William Demant Holding. The management changes will take effect on 1 April 2017. 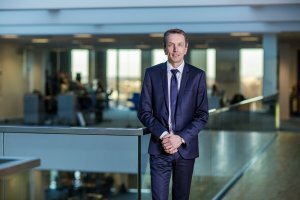 Going forward, the Executive Board will consist of Søren Nielsen and CFO René Schneider backed by a management group consisting of Arne Boye Nielsen (Diagnostics), Niels Wagner (Retail) and Svend Thomsen (Finance). In addition, the Oticon Foundation will announce a number of other management and board changes in the William Demant Group. Editor's Note: The guest editorial is being simultaneously published in Ear and Hearing, the International Journal of Audiology, and Canadian Audiologist. This guest editorial, from authors at the World Health Organization, is designed to promote public awareness of ear disease and hearing loss throughout the world. Increased awareness of the issues surrounding hearing and hearing loss is in the best interest of global public health and we are pleased to be able to share it with our readers. It is estimated that over 5% of the world's population experience disabling hearing loss1 (World Health Organization, 2012; Olusanya et al, 2014). Studies suggest that if we include mild and unilateral hearing loss in this estimation, over 20% of the world's adult population would have some degree of hearing loss (Stevens et al, 2011), making it the most common sensory impairment among humans. Given our dependence on communication, the reduction or loss of hearing has a significant impact on an individual's life including language development, cognition, education, employment and economic and psychosocial well-being (Yoshinaga-Itano et al, 1998; Karchmer & Allen, 1999; Bess et al, 2011; Fellinger et al, 2012; Olusanya et al, 2014). The fact that the prevalence and impact of hearing loss can be mitigated through public health actions is well known. Recent estimates suggest that nearly 60% of hearing loss among children can be prevented through public health measures (World Health Organization, 2016a). For those who develop hearing loss, early diagnosis and suitable interventions go a long way in improving outcomes. Despite this, only a few countries, predominantly in the high-income group, have implemented strategic plans to address hearing loss (World Health Organization, 2013). The growing need for hearing care and lack of policies to address it poses a public health challenge (Olusanya & Newton, 2007) requiring coordinated, comprehensive action to drive policy formulation, seek financial resources, and enhance hearing care accessibility (Olusanya et al, 2014). Taking cognisance of these facts, World Health Organization (WHO) organised a Stakeholders' Consultation on prevention of deafness and hearing loss at its headquarters in Geneva, Switzerland in July 2016 (World Health Organization, 2016b). Professionals in the field of ear and hearing, international professional associations, nongovernmental organisations, civil society groups, academic institutions and manufacturers of hearing devices came together to propose actions for promoting global access to ear and hearing care. One of the key discussion points during this meeting was the need for a coordinated global advocacy effort to prioritise ear and hearing care. The first step in translating knowledge and research into action is to raise awareness through evidence-based advocacy (Friedlaender & Winston, 2004). In its programme for prevention and control of deafness and hearing loss, WHO has highlighted evidence-based advocacy as one of its programme objectives, along with development of technical tools and implementation of national strategies for hearing care (World Health Organization, 2016c). Over the past few years, WHO prevention and control of deafness and hearing loss has focussed its advocacy efforts around the World Hearing Day. World Hearing Day is observed annually on 3rd March with the primary aim of raising awareness about different aspects of hearing loss amongst all people, including policy makers, health care professionals, developmental agencies, and civil society (World Health Organization, 2016d). Since 2001, 3rd March was observed as National Ear Care Day in China. In 2007, it was established as International Ear Care Day during the First International Conference on Prevention and Rehabilitation of Hearing Impairment (World Health Organization, 2015a). Interestingly, the rationale for selecting this date was that the number 3.3 represents the shape of two ears. In 2015, the name was changed to World Hearing Day, to focus more on the function rather than the organ (ear) of hearing. Each year, WHO identifies one aspect of ear and hearing care, which should be highlighted as the advocacy theme. Evidence based key messages are developed to support the theme and accompanied by a package of information products. Such a package may include posters, banners, brochures, pamphlets, infographics, videos, or other materials, often in multiple languages. These are used by groups, organisations, and individuals around the world to plan activities ranging from community-based actions to high-level advocacy. Awareness sessions, screening programmes, provision of hearing devices, walks and runs to advocate for hearing, strategic planning work-shops, and launches of national strategies/programmes are some examples of such activities that have been undertaken in the past (World Health Organization, 2014, 2015b, 2016e). WHO also organises activities at its headquarters in Geneva including media coverage. Through Facebook, Twitter, and Google Plus, a social media campaign is launched by WHO around the day to take the messages on hearing loss to an ever-increasing number of people. Over the past few years, many organisations, civil society groups and opinion leaders have joined this social media campaign. Last year saw the participation of a number of leading rock bands and rock stars, who tweeted WHO's messages on World Hearing Day and promoted safe listening among their fans. 2013: Healthy Hearing, Happy Life - Hearing Health Care for Ageing People (World Health Organization, 2015a). 2014: Ear Care Can Avoid Hearing Loss (World Health Organization, 2014). 2015: Make Listening Safe (World Health Organization, 2015a). 2016: Childhood Hearing Loss: Act Now, Here's How! On the World Hearing Day 2015, WHO raised alarm about the risk to hearing posed by unsafe listening habits (World Health Organization, 2015c) and launched the ''Make Listening Safe'' initiative. This highlights the potentially devastating risk posed by injudicious exposure in recreational settings and promotes safe listening practices among youth through raised awareness and development of safer technology for listening to music (World Health Organization, 2015d). WHO is working on this initiative with numerous partners and experts, with the vision that people of all ages should be able to enjoy listening to music with full protection of their hearing. 2016 drew attention to the impact of childhood hearing loss. A brochure, an infographic, posters and banners outlined ways and means to integrate preventive and interventional strategies for childhood hearing loss within health care programmes (World Health Organization, 2016f). In 2017, WHO plans to highlight the economic impact of hearing loss and cost-effectiveness of interventions to address this condition with the theme: ''Action for hearing loss: make a sound investment'' (World Health Organization, 2016d). Over the past few years, an increasing number of partners and countries across the world have been observing this day through advocacy and action for ear and hearing care. Anyone can simply join this effort by undertaking hearing-related activities on 3rd March. You can access information on the upcoming theme and past activities on the WHO webpage and download WHO information products and materials free of cost (World Health Organization, 2016d). You can also sign up on WHO's website (http://www.who.int/pbd/deafness/world-hearing-day/en/) to receive alerts and information about the World Hearing Day activities. All actions undertaken at any level within the community will serve to strengthen this effort to advocate for hearing loss. Vincent Van Gogh said that ''Great things are done by small things brought together''. We believe that as the number of people, organisations, and countries participating in this initiative grow, so will its impact on the global health agenda. Disabling hearing loss refers to moderate or greater hearing loss in the worse hearing ear. The Editorial was originally published in Ear & Hearing, 2016 and is republished with the kind permission of the American Auditory Society. For citation purposes, please use the original publication details: Chadha, S. & Cieza A. 2017. Guest editorial: Promoting global action on hearing loss. World Hearing Day, Ear and Hear, 38, 133-134. DOI of original article: http://dx.doi.org/10.1097/ AUD.0000000000000413. Bess, F.H., Dodd-Murphy, H. & Parker R.A. 2011. Children with minimal sensorineural hearing loss: Prevalence, educational performance and functional status. Ear Hear, 31, 443-467. Fellinger, J., Holzinger, D. & Pollard, R. 2012. Mental health of deaf people. Lancet, 379, 1037-1044. Friedlaender, E. & Winston, F. 2004. Evidence based advocacy. Inj. Prev, 10, 324-326. Karchmer, M.A. & Allen, T.E. 1999. The functional assessment of deaf and hard of hearing students. Am Ann Deaf, 144, 68-77. Olusanya, B.O. & Newton, V.E. 2007. Global burden of childhood hearing impairment and disease control priorities for developing countries. Lancet, 369, 1314-1317. Olusanya, B.O., Neumann, K.J. & Saunders, J.E. 2014. The global burden of disabling hearing impairment: A call to action. Bull World Health Organ, 92, 367-373. Stevens, G., Flaxman, S., Brunskill, E., et al. 2011. Global and regional hearing impairment prevalence: An analysis of 42 studies in 29 countries. Eur J Public Health Adv, 176, 142-152. World Health Organization (WHO). (2012). Prevention of blindness and deafness: Estimates. Retrieved October 28, 2016: http://www.who.int/pbd/ deafness/estimates/en/. World Health Organization (WHO). (2013). Multi-country assessment of national capacity to provide hearing care. Retrieved October 28, 2016: http://www.who.int/pbd/publications/WHOReportHearingCare_Englishweb.pdf. World Health Organization (WHO). (2014). International Ear Care Day: 3 March 2014: Ear care can avoid hearing loss. Retrieved October 28, 2016: http://www.who.int/pbd/deafness/International_Ear_Care_Day_2014_ report.pdf. World Health Organization (WHO). (2015b). International ear care day 3 March 2015. Retrieved October 28, 2016: ttp://www.who.int/pbd/deafness/news/INTERNATIONAL_EAR_CARE_DAY_3_March_2015.pdf. World Health Organization (WHO). (2015c). Hearing loss due to recreational expo-sure to loud sounds. Retrieved October 28, 2016: http://apps.who. int/iris/bitstream/10665/154589/1/9789241508513_eng.pdf. World Health Organization (WHO). (2015d). Hearing loss due to recreational expo-sure to loud sounds. Retrieved October 28, 2016: http://www.who.int/pbd/deafness/news/safe_listening/en/. World Health Organization (WHO). (2016a). Childhood hearing loss: Strategies for prevention and care. World Health Organization. Retrieved October 28, 2016: http://apps.who.int/iris/bitstream/10665/204632/1/9789241510325_eng.pdf/. World Health Organization (WHO). (2016b). Prevention of blindness and deafness: Recent events, 7 July 2016. Retrieved October 28, 2016: http://www.who.int/pbd/deafness/en/. World Health Organization (WHO). (2016c). Overview of WHO's program on prevention of deafness and hearing loss. Retrieved October 28, 2016: http://www.who.int/pbd/deafness/activities/hearing_care_programme/en/. World Health Organization (WHO). (2016d). World Hearing Day: 3 March. Retrieved October 28, 2016: http://www.who.int/pbd/deafness/worldhearing-day/en/. World Health Organization (WHO). (2016e). World Hearing Day: 3 March 2016: Report of activities. Retrieved October 28, 2016: http://www.who.int/pbd/deafness/world-hearing-day/WHD2016_Activities_Report_rev1.pdf. World Health Organization (WHO). (2016f). 3 March 2016: World Hearing Day. Retrieved October 28, 2016: http://www.who.int/pbd/deafness/world-hearing-day/2016/en/. Yoshinaga-Itano, C., Sedey, A.L., Coulter, D.K., Mehl, A.L. 1998. Language of early- and later-identified children with hearing loss. Pediatrics, 102, 1161-1171.